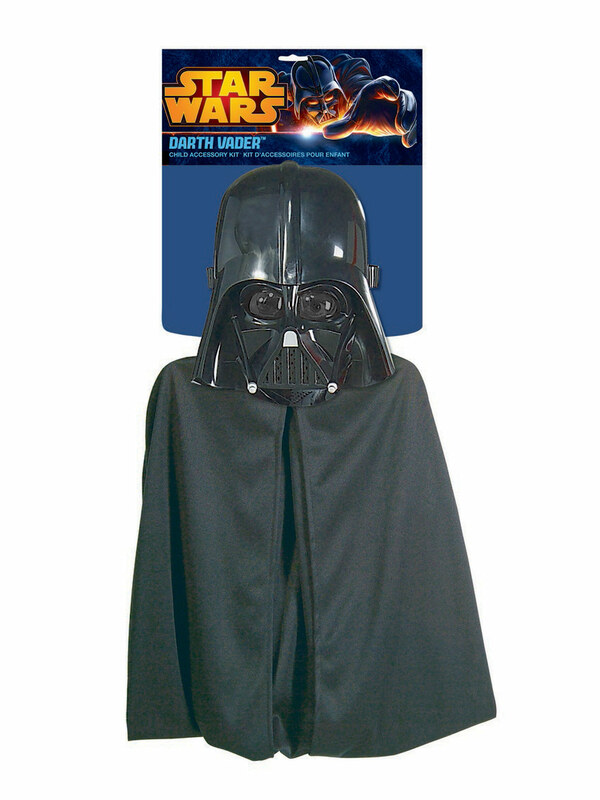 Become the ultimate villain of the Dark Side this Halloween when you buy the Star Wars Darth Vader Mask and Cape Set! This amazing kit comes with a replica of Darth Vader's spooky jet black mask, as well as a jet black cape. If you're still looking for the rest of your Star Wars get-up, be sure to check our site for a light saber, a blaster, and more. 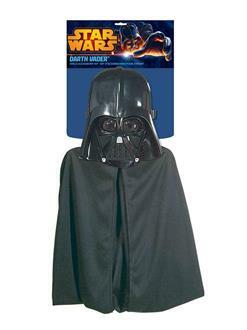 Buy your mask and cape set today, and go make this Halloween a triumph of the Dark Side!